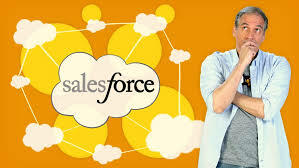 The Salesforce1 platform launch last year saw the integration of Force.com, Heroku and ExactTarget services. This attracted developers to the platform increasing the Salesforce’s developer community to 1.5 mn. Following this, Salesforce has decided to create a central point for its developer community where documentation and resources can be accessed. Developers can find tools, cookbooks, forums and event details on the newly unveiled portal. This allows them to gain support and learning material in addition to documentation provided on the platform. There are currently 4 million custom apps on Salesforce1 and the platform handles 1 bn API calls per day. From April 27, the shareware provider will be hosting a developer week across 22 countries. Developers will benefit from learning sessions led by Salesforce experts present in each of the events.